You can include calculations to, for example, calculate the total order amount or the score for a questionnaire. This allows you to automatically create an invoice for the order or send the visitor an email message with his score. 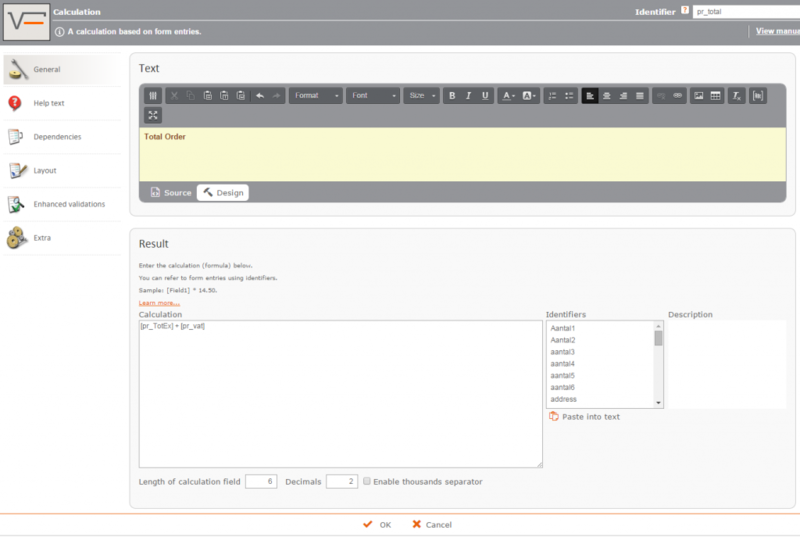 You can even create complex calculation formulas to use in your form. 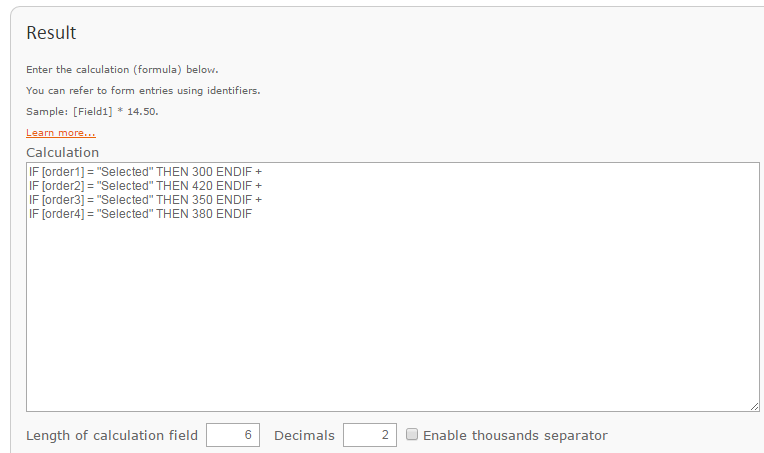 Setting up formulas is very user-friendly and can be done in much the same way as in a spreadsheet program like Excel. View the demo form and the manual to get an idea of the possibilities offered by this feature.